Once you’ve landed the Walmart account, nothing’s quite as exciting as that first week when your items hit the shelves. Tracking their performance is equally as exciting! Many new suppliers pull that first report and are shocked by an all-too-common reality: zero sales. The simple truth is this: new modulars often take weeks to execute in stores. Seeing stores with zero sales (for Walmart Suppliers, as reported in Retail Link®) on new items is not unusual soon after a modular change. However, if those zero sales persist, you need to take action quickly. Simply put, Perpetual Inventory (PI) is the number of items you have on-hand at a particular point in time. PI increases by new merchandise being received and decreases by sales. 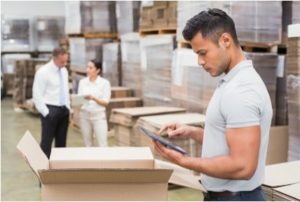 Occasionally, a supplier has a PI indicating there is enough inventory in a store to satisfy a day’s or week’s supply, but the reality is much different. If On-Shelf Availability (OSA) is less than the PI, you have phantom inventory, which generates zero sales. This can happen through shrink, receiving errors, or miss-binned backstock to name a few causes. Questions about PI or need help resolving phantom inventory? Click here to have an advisor call you or use our online chat! 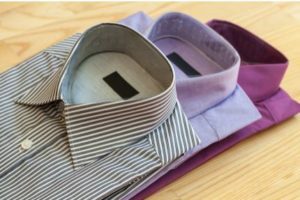 This is a common challenge for Apparel suppliers. When items are set up in Walmart’s Retail Link®, you have the option to set up a cross-reference chain for variations of the item (i.e. one shirt in multiple colors). One item in the chain is set up as the prime item with the variations cross-referenced beneath it. If your reporting query is set up incorrectly, all sales in the chain for all items will be attributed to your prime item only. It may take a while to catch the issue, but correcting isn’t difficult. There are two ways to correct the reporting depending on how you wish to see sales: set up an All-Links Rollup or an All-Links Detail. For example, let’s assume you want to report on a shirt that comes in multiple colors. To capture how the entire program is performing, use the All-Links Rollup. To see how each item is performing, use All-Links Detail. Click here to learn more about Item File Setup and Maintenance to avoid bad reporting! Out Days can actually be attributed to single days, multiple days, or even several hours. Out Days can impact differently depending on your item’s rate of sale, order review frequency, and total replenishment lead-time. Let’s say you have an item that sells on average one unit per day. For this example, the item can be ordered each Wednesday with a total lead-time of 14 days. If a store sells out on Tuesday and reorders on Wednesday, then your customers will see 15 Out Days across three consecutive weeks. If the forecast was more accurate and the store sold out on the day prior to the receiving, there would only be one Out Day. Out Days are a great metric on the backside to measure your item’s performance across all stores in a chain or even across all stores serviced by a particular distribution center. Knowing Out Day history in conjunction with forecast error can give your analyst good insight to collaborate with their merchant team partners. If you’re unsure of what steps to take to get your Out Days in check or if you don’t understand what they’re telling you, click here to get in touch with one of our replenishment supply chain specialists. It happens frequently in the busy seasons: items, pallets, and especially feature displays can get so banged up in transit, they’re too hazardous or unsightly to put in front of customers. Delayed communication now becomes the reality of zero sales. The store employee may inform their supervisor of the issue, but your damaged merchandise isn’t necessarily an emergency at the store level. A store manager may make a note to inform the market manager on the next conference call, or let your local rep know the next time they’re in the store. Every day that product or display sits in the backroom is a day you lose money and report zero sales. To learn about damage issues fast, make sure you have reps in the stores to verify placement. If you don’t have field representation, ensure your packing instructions have your contact information to call immediately for replacement items in the event they arrive damaged. The Walmart merchants are working hard to move product. However, stores sometimes get traited incorrectly (usually under the best of intentions). Buyers in any corporate office will never know the local clientele as well as store employees. Years ago, an 8th & Walton advisor was visiting with a Walmart store manager in Florida. Week after week, the store showed little to zero sales on Florida Gators sports apparel. The buyer back in Arkansas couldn’t understand why and called him. In select areas of Florida, a gator just can’t hold a candle to a mouse! Seriously, a map of stores only tells part of the story. Know where your product is being sent, the local customer, and get boots on the ground if possible. This entry was posted in Supplier tips and tagged advisory, modular, no sales, Retail Link, traiting, traits, walmart sales, zero sales. Bookmark the permalink.